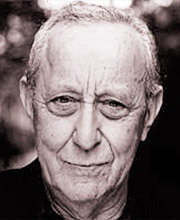 David de Keyser’s television appearances include Rome, Holby City, Island at War, The Last Detective and Waking the Dead. His theatre work includes The Diary of Anne Frank, Designated Mourner, She Loves Me and Hysteria. He can be seen in the films A Dry White Season, Red King, White Knight and King David.